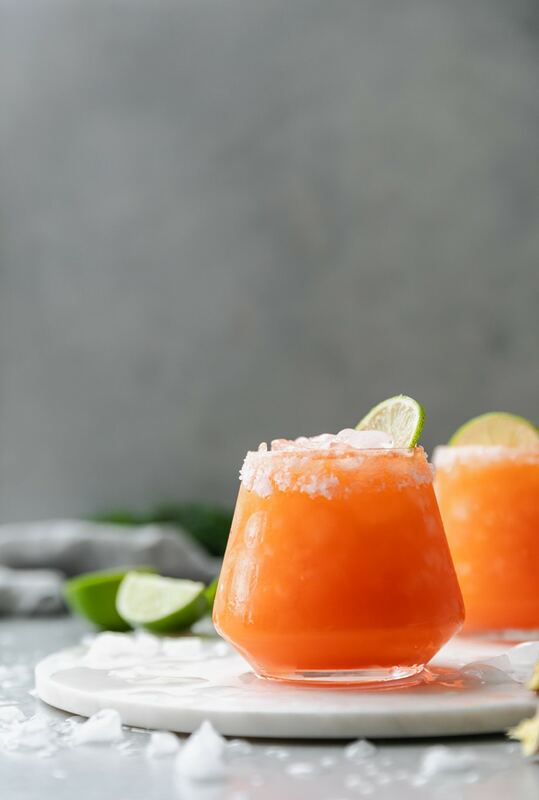 These Carrot Ginger Margaritas are a super fresh, zingy take on the classic margarita! 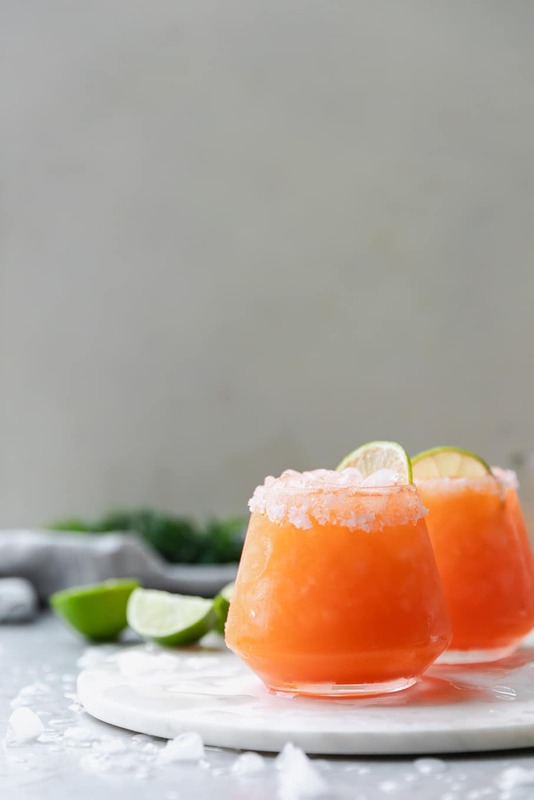 They’re made with a fresh carrot-ginger juice you make super quickly in the blender, and then it gets shaken up with all of the classic margarita ingredients. They’re super flavorful, refreshing, and perfect for spring entertaining! Let’s make the springiest margaritas! 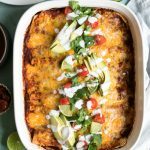 Margaritas are always my drink of choice, or anything with tequila, really, and I’m always looking for ways to put a spin on the classic. 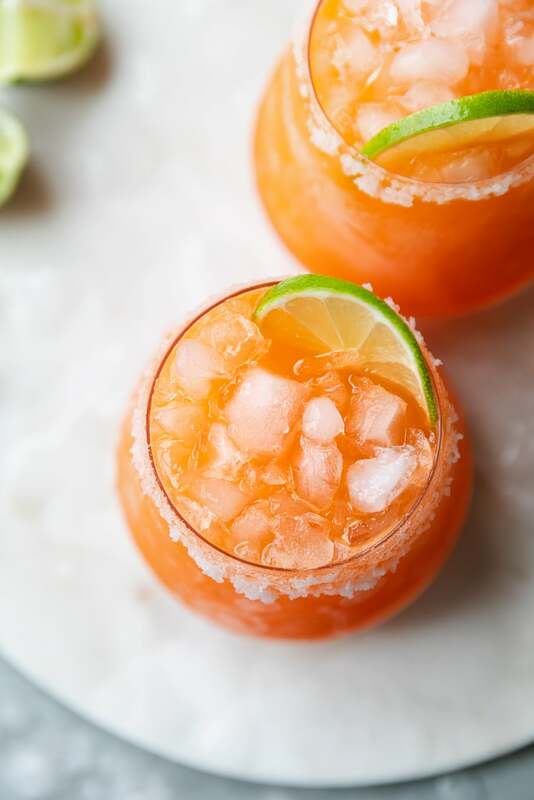 Enter these carrot ginger margaritas! 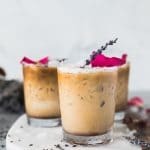 Over the past year or so, I’ve experimented quite a bit with making different juices for cocktails (especially for the veggie cocktails in my cookbook! ), and these have been on my brain for months and months! I wanted to share them earlier, but I figured that carrot margaritas in December might not go over so well. So I waited for spring and here we are! Finally. You might think that making juice sounds difficult, but trust me it’s not at alll. All you need is a blender, and a fine mesh strainer or cheesecloth! You definitely don’t need a juicer. All you have to do is chop up some carrots and a knob of ginger, and throw them in the blender with some water. Then just blend it up, and strain! And voilà – we’ve got carrot ginger juice! And the same goes for making any juice, really. 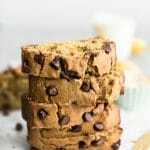 A blender is really all you need! Like this green juice I made years ago. Don’t judge the single iPhone photo in that post. Beyond embarrassing. The juice is really good though! After we make the carrot ginger juice, we make the marg! 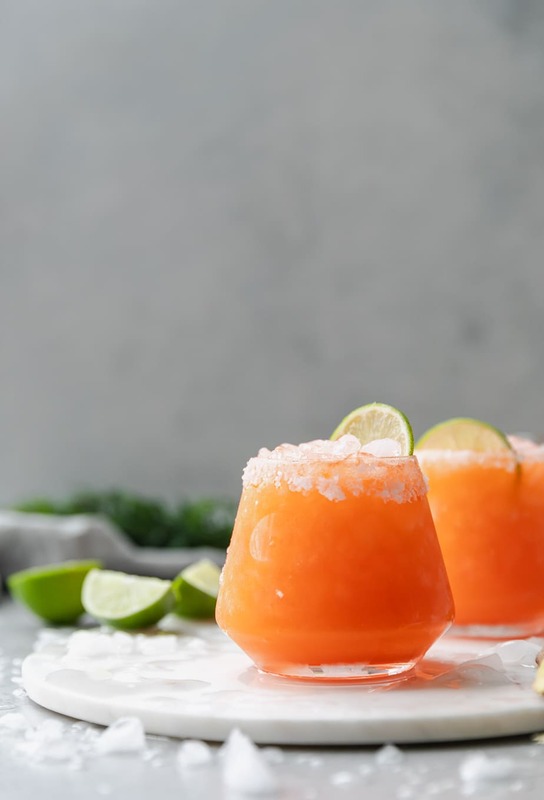 A little tequila, Grand Marnier, lime juice, the carrot ginger juice, and simple syrup go into the cocktail shaker with some ice, and that’s it! 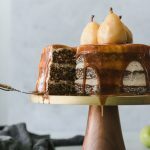 I like to keep plain simple syrup in my fridge at all times for this reason. Anytime you need to sweeten a cocktail or beverage, it’s there! It lasts forever in the fridge. At least a month, maybe longer. I usually use it all up before then, especially if I’m having a lot of guests, or if it’s a holiday. These margs are definitely happening for Easter in a couple weeks! I’ll be sharing a couple more Easter/spring entertaining friendly recipes next week too so stay tuned for those too! These are the perfect balance of sweet but not too sweet, and really lightly carrot-y, with a touch of spicy ginger and zing of lime. They’re so different and absolutely delicious. 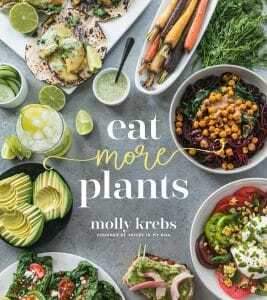 Perfect for springtime and warmer days. 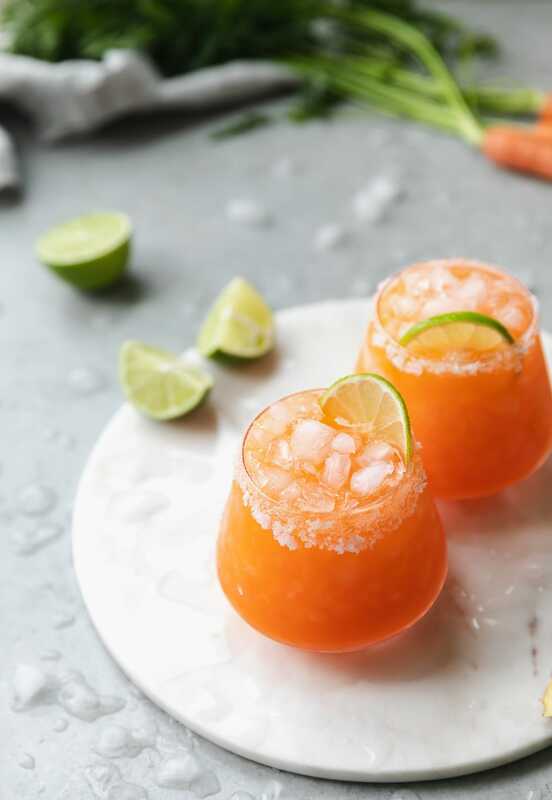 These Carrot Ginger Margaritas are a super fresh, zingy take on the classic margarita! 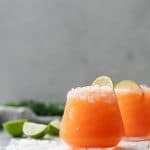 They're made with a fresh carrot-ginger juice you make super quickly in the blender, and then it gets shaken up with all of the classic margarita ingredients. 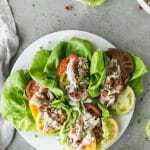 They're super flavorful, refreshing, and perfect for spring entertaining! 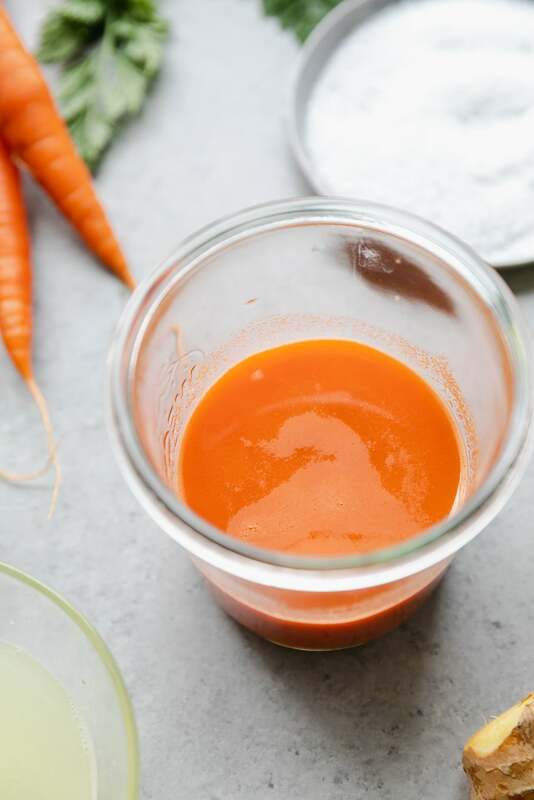 Add the ginger, carrots, and water to a high powered blender. Blend on high for 1-2 minutes until smooth. 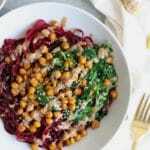 Pour juice through a fine mesh strainer or cheesecloth lined strainer into a bowl, helping it along by stirring/pressing juice through with a spoon if needed. You should be left with 3/4 - 1 cup juice. Moisten the edge of your glass with a lime wedge and rim in coarse salt. Fill the glass with crushed ice. 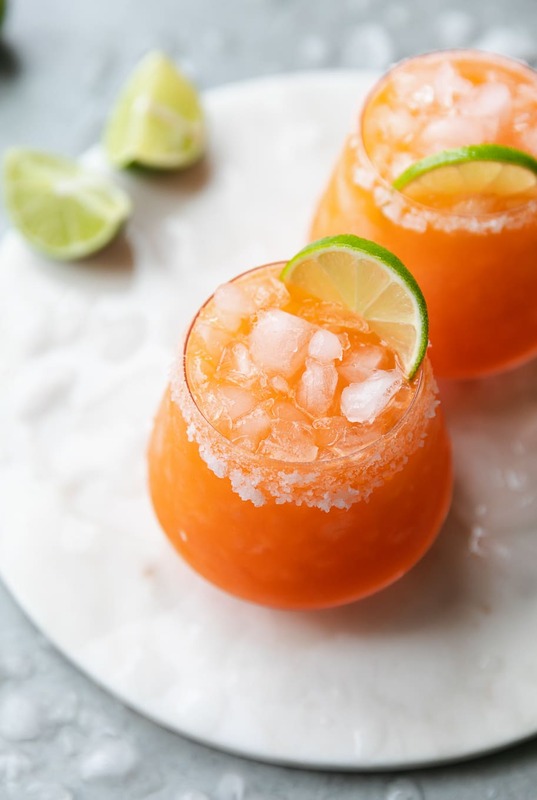 Add a few ice cubes to a cocktail shaker and add the tequila, Grand Marnier, lime juice, carrot ginger juice, and simple syrup. Shake for 20-30 seconds and pour in the glass. Garnish with a lime slice and enjoy immediately! *Carrot ginger juice will make about 3/4-1 cup of juice, enough for 3-4 margaritas. 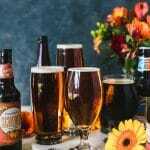 *I prefer Grand Marnier over other orange liqueurs, but Triple Sec or Cointreau will work here! *To make simple syrup, boil 1 cup water and 1 cup sugar until dissolved (about 30 seconds to 1 minute). Cool, store in the fridge, and use in cocktails! 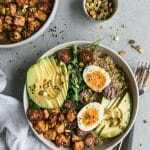 This will make more than you need for the recipe. 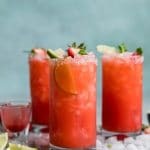 *If you want to make these pitcher-style for a crowd, I'd measure all of the margarita ingredients out for how many people you want to make them for, add everything to a pitcher, and chill the mixture in the fridge. When you're ready to serve, add the crushed ice, and serve! 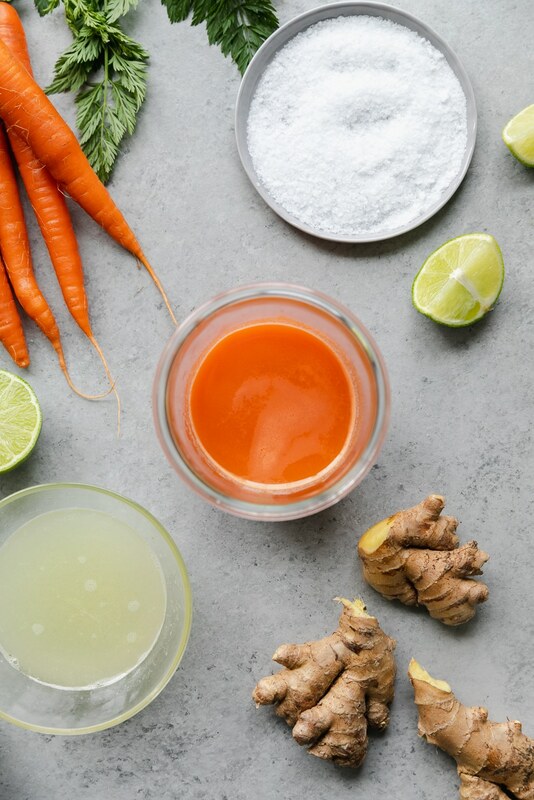 You'd need to probably double or triple the carrot ginger juice too, depending on how many people you're making them for!